As a runner and someone who works out on a regular basis, I understand the importance of a good massage. A foot massage is great to relieve pain, reduce stress and anxiety, rehabilitate injuries and boost general health. The only problem is that I’m unable to get it done regularly as it involves money, time and effort (I’m not fond of driving around in Gurgaon!). And I will be honest, a lot of times I find most massage parlours shady and the good ones are way too expensive for me. So, when I received the Lifelong Foot Massager for review, I leapt at the opportunity. 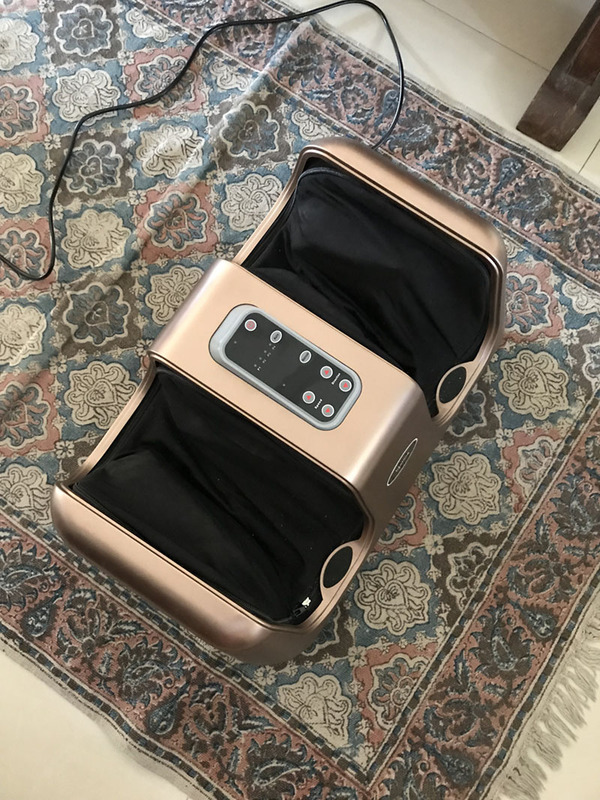 I was traveling when the foot massager arrived so I only got to try it after my father did. He’s someone who has been suffering a lot due to constant pain in his legs. And I feel guilty that I should have actually thought of getting him something like this long back. I felt even more guilty when he told me the massager helped him sleep better. In any case, I have been using it for more than a month now before I decided to write about it. The massager soothes your tired muscles through vibration and kneading mechanism. You can easily adjust the speed as desired with its ergonomic controls. It also has a 15-minute automatic shut-off feature. Most of the times I find myself using it for half an hour or so. And I truly feel that the product works amazingly well, giving you the right amount of pressure in the right areas to get rid of specific pains. Overall, I loved the experience of being able to kick off my shoes and relax. The kneading of my feet feels great after a long tiring day. 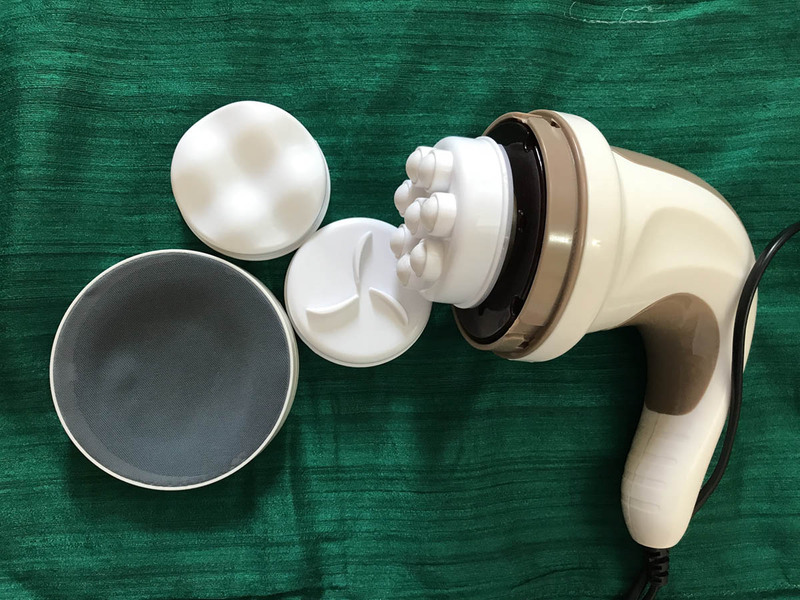 In addition to the Lifelong Foot massager, they also sent me the body massager, which has 3 changeable massage heads which generate different massage effects at different speed settings. It’s handheld and can be used for bigger muscles like hamstrings, shoulders, calves and glutes, but I actually use it on my calves and ITB, because those are my pain areas and it helps in improved blood circulation. At the same time, I do understand that some people might not like the fact that it’s handheld. So, my verdict would be a definitive yes for the foot massager. 1) Easy to operate even by older people. 2) Light weight, it can be moved around with ease. 3) You can choose the speed and direction of the massage. I’m someone who likes soft massage. 4) Sturdy and durable. 5) Easy to clean. Comes with a detachable cloth which can be washed.6) You can use it anywhere, while watching TV or working. Price point might pinch a few but I really feel it’s great gift one can give to parents. And you can use it every day or any time of the day. Also, there are offers available on Amazon always. You can buy it here. The massagers were given to me to review. However, all opinions are my own. Mam are there any safety issues?